Hi, I'm Jess Pacampara and I love to converse with people to get the best stories. I'm here to help others with their tasks using my communication skills to relay their ideas. I want to create things that showcase brand-quality to make them the go-to products for their respective industries and cater to different clients in need. or call 09272726610 /4118376 (Manila Time). Helps customer service tiers in provisioning models for Comcast. I am proficient in grammatical rules and syntax to ensure that the mesasge delivered is coherent and easy to understand. I believe that brand-image is a must. One of my main priorities is to make sure that your brand's ideas are delivered the way you want it to be. I understand the importance of minimalism to attract a wider number of audiences and get their eyes on the product. I am quite knowledgeable in doing office based tasks and interacting with different people. I understand that human relations is vital to any work and can communicate my ideas effectively. I'm confident of my skills using MS Office Applications for various administrative and office based tasks. I am adept at writing stories that engage and capture readers from all walks of like. I am able to conduct quality interviews to gather sufficient information to get details with pinpoint accuracy. I am a people person and I believe that customer relations an important sector of any industry. I am well adapted to different writing styles, research, business articles, briefs and making templates and using different search engines to get up-to-date information. 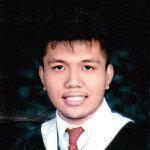 Don Alejandro Roces Sr. Science and Technology H.S. Gathered various news and interviewed personalities around the CAMANAVA area for the leading tagalog newspaper People's tonite. During his free time, Jess loves listening to poetry slams and do olympic lifting . Moreover he was featured in GMA - 7's New Year's special for Investigative documentaries last 2014. Furthermore, he has won multiple medals and awards for powerlifting and weightlifting in the Philippines.